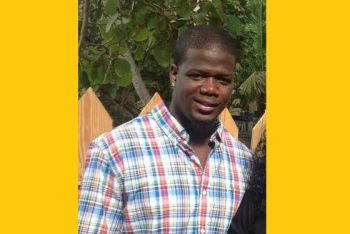 ROAD TOWN, Tortola, VI- It was on March 23, 2017 that the Royal Virgin Islands Police Force (RVIPF) announced they had arrested a man as investigations continued into the murder of Virgin Islander Ashburn A. Dawson of Carrot Bay, Tortola. Mr Dawson aka ‘Ashy’, a former High Court Registry employee, was cut down on March 10, 2017 in a hail of bullets adjacent to the Sunday Morning Well in Road Town, the capital city. 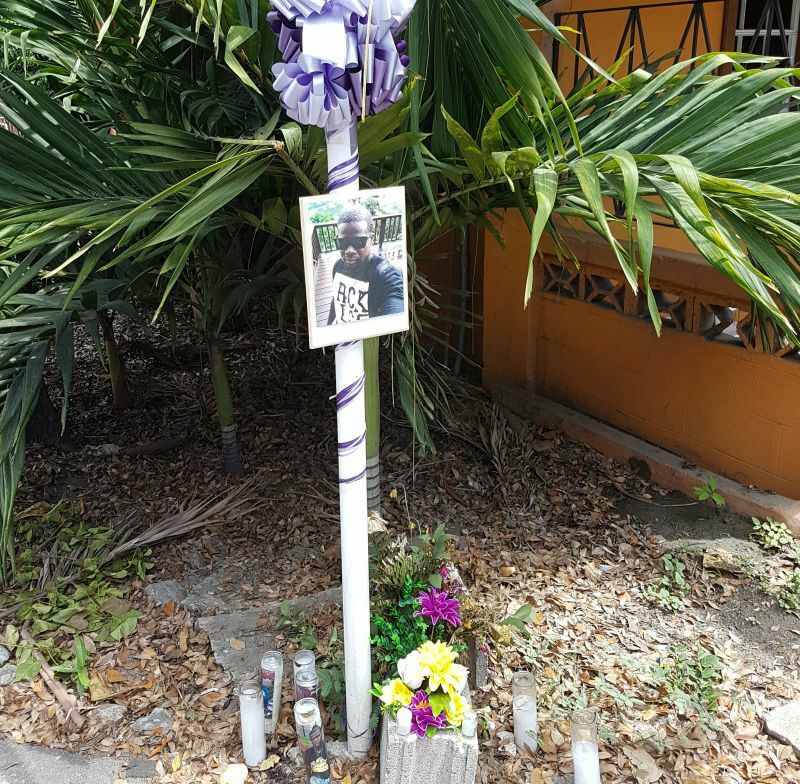 Police also announced, 48 hours after, that the man they had arrested (we have name and photo) on March 23, 2017 was released without charges as the investigations continue into the third homicide in the Virgin Islands for 2017. Meanwhile, the funeral to celebrate the life for 30 year old Mr Dawson is scheduled for Saturday April 1, 2017 at the Zion Hill Methodist Church, on the western end of Tortola. The viewing of the body will take place from 9:30 AM to 11:00 AM, and will be followed by the service which begins at 11:00 AM. Interment will follow immediately at the Dawson’s Family Burial Ground in Carrot Bay, Tortola. The Major Crime Team supported by the Immediate Response Unit carried out two search warrants early this morning as investigations into the murder of Ashburn A. Dawson continue. One man was arrested and is presently being interviewed. Police investigations are ongoing in the matter. Pressure on all to do something about crime so they rounding up people. Tis more in the mortar than the pestle. Help us. @Crimebag, sometimes you have to start rounding up suspects/people. That is how some crimes are solved. Someone will sing like a Canary. Hope they get the person who kill the Penn guy also. @ Crimebag: If that was really the case they would have rounded up even you. Don't you think they have some kind of information that would cause them to round up some people and not others? People like you really cause me to shake my head because people like you are the same ones to say the police don't do their job and yada, yada yada. Now they trying and you talking crap. If you know there's more in the mortar than the pestle, then why don't you go to them and say what you have to say. Then, if you have nothing positive to say, then stay the hell off here. Once your name call, it is highly likely that they're going to pick you up for at least questioning!! Since you were with whoever it is, then you can vouch for them then if needs be!! Wouldn't you like them to know who killed the man? Ok, you were with him! That's good I trust that! My comment is independent of this article and the person who was released. But the police have to do more than just picking up people. This seems to be the trend. Are all three murders going to be classified as unsolved? @8th district goal, why are you people so ignorant? Don't you think the police are doing their job and that's why they picking up people to question them. What is your contribution if you are so concerned about crime and this territory, what are you doing to help, the police needs help, they need those who have information to come forward and say what they saw and know, are you willing to do that and don't come with the lame a$$ excuses that you don't trust police. And as to that a$$s**le commenting below calling himself Wize up, you said you was a police, some of those same unsolved murders occurred in your time as a police, what was your contribution, am sure you never work in the crime division, sure you never even investigated a minor offence so please shut your craw, you are just sickening now and bitter, you could not have stayed in the force forever JC, so stop your hatred. Sure you have never provide the police with one shred of information to help them. Stick to the issue and not diminishing the post to one of subjectivity. I help by paying taxes, helping others in need, and obeying the laws of the land. If the Governor had to invoke his rights based on the Constitution in order to help fight crime, clearly we have a problem. I just sent a post about what I saw. Even though we heard the shots, we didn't realise somebody went down until about 20 minutes after we heard a siren. Heard commotion down the road abd traffic started to back up, but we didnt run tonbe spectators because we didnt know what was going down. But remember the dude walk back after the ringout. It's so unfortunate that we continue to have all of these unsolved murders/serious crime taking place in the country, and there are persons within the community that knows and have the key to solve if not all, most of them. But the police or most of the police do not have the kind of relationship with members of the public to garner that information to move their investigation forward. The police need to develop and maintain trustworthiness with people, they need to remember that they can't do it alone. I believe that the force have capable officers, but some are been overlooked and victimize for personal/geographical reasons. look at the present trend of things as to who are where and doing what. De silent one, clearly you are a police. Although I may agree with certain things in your comments, not having a good relationship with the police should not prevent people who know things and see things from not sharing it. You needs to work special areas in the force, work your way there. Don't give up police. Don't give in. Why would they arrest that young boy in the first place when he had nothing to do with the crime?